How many motorists think roads are not for cyclists? When friends and family ask me what I’m up to I tell them. If I happen to mention the creation of the iPayRoadTax campaign I get quizzical stares. That’s if I’m talking to a non-cyclist. Fellow pedallers know instantly what I mean when I say ‘road tax’: it’s an all-too-typical form of abuse lobbed at cyclists by motorists. The Mr & Mrs Motormouth video is an extreme example, but by no means unusual. Non-cyclists think I’m bonkers. Why would I devote so much time and trouble on what they consider such a non-issue? None of my friends and family have so far argued that roads are paid for by motorists, so cyclists have lesser rights; but on a recent press trip I got a very different reaction. I was pinned to the dinner table by a journalist who felt cyclists shouldn’t get in her way when she exits her farm access road. The county council had painted some white lines on a footpath that crosses her access road and, for her, this was deemed far too much provision for cyclists. Now, her views might have been the red wine talking but what excuse does Peter Burkinshaw have? 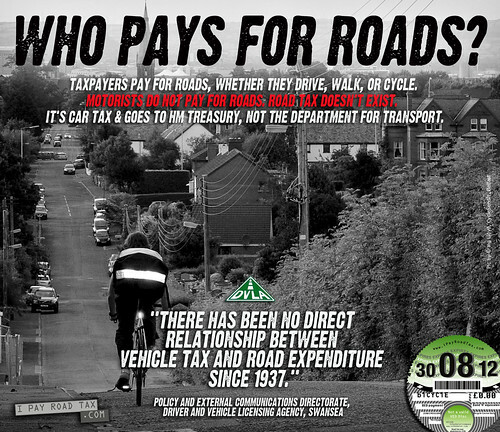 In 2009 he went on record saying motorists pay for roads and that cyclists are ‘freeloaders’. He’s a member of the UK Independence Party so perhaps it’s not surprising he has some odd views on life but it would be interesting to find out exactly what non-cyclists think about us. Peter Zanzottera, senior consultant at transport consultancy Steer Davies Gleave, told the Scottish Parliament’s Transport Committee, that “People love cycling but hate cyclists.” How big a percentage of motorists think roads are paid for by ‘road tax’ and so cyclists shouldn’t be allowed on roads, or certainly shouldn’t be treated as equals? I’d like to think it was only a small percentage and when a non-cyclist says they pay ‘road tax’ they don’t really think an annual payment of Vehicle Excise Duty funds the British road network. But it could be a bigger percentage and it’s research I’d like to see carried out. If even only a small fraction of motorists think like Peter Burkinshaw and Mr & Mrs Motormouth, that’s got to be a worry. We ride our bikes next to a certain percentage of drivers who believe we have no right to be there. 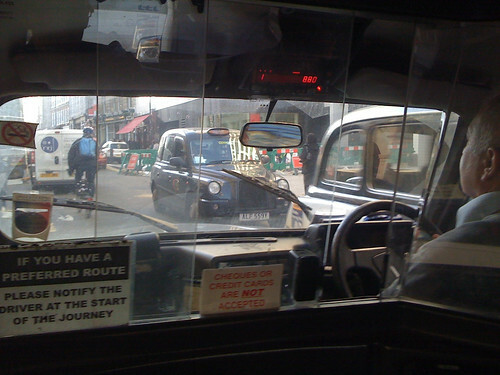 How many ‘accidents’ have been caused by motorists who feel we’re interlopers, and that might is right? It’s worthwhile repeating Burkinshaw’s claims because they could be more mainstream than most UKIP utterances. As a thick-skinned member of UKIP, Burkinshaw is going to voice what others would be worried about saying in public. He was standing for election to Cambridgeshire County Council in June 2009. 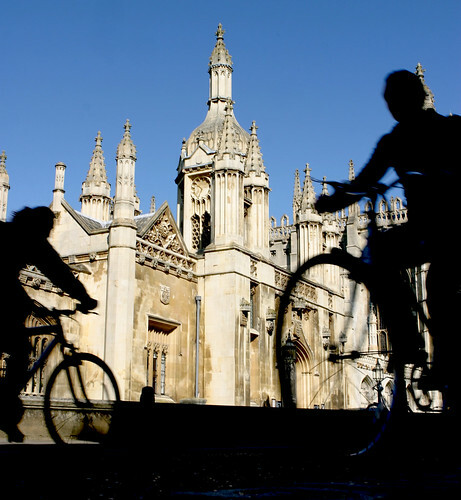 The Cambridge Cycling Campaign asked all candidates for their views on cycling. Burkinshaw, with no chance of being elected, gave his honest views, not something politicians with any chance of power are likely to do. Shocking. Daft. Misguided. But very possibly a prevalent view among some motorists. 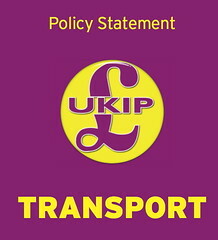 Thankfully, UKIP has no chance in the national election but it’s possible that many of the party’s transport policies would be supported by a motoring populace. I listed these policies on the Quickrelease.tv blog and Helen Pidd of The Guardian reported on them, too. This entry was posted on Thursday, April 15th, 2010 at 4:31 am	and is filed under % who think cyclists are freeloaders. You can follow any responses to this entry through the RSS 2.0 feed.